For years we have been considering retiring in Arizona since we love the climate, landscape, and ability to live near many family members there. 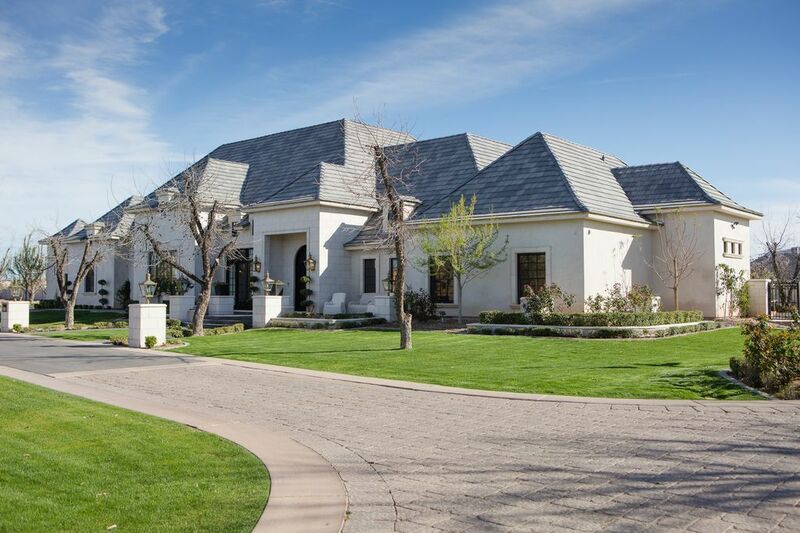 My youngest sister lived in Queen Creek for years, and I just stumbled on this beautiful Modern Chic French Home fresh to the market. Curb appeal! Beautiful Modern Chic French Home in the Southwest. Source – see this home for sale. Architectural Design: Pinnacle Conecptions. Builder: E & A Custom Homes/Jason Check. Interior Design: Jaimee Rose Interiors & Elsie Rose Home. House Tour & Interior Design Inspiration…certainly lovely indeed! 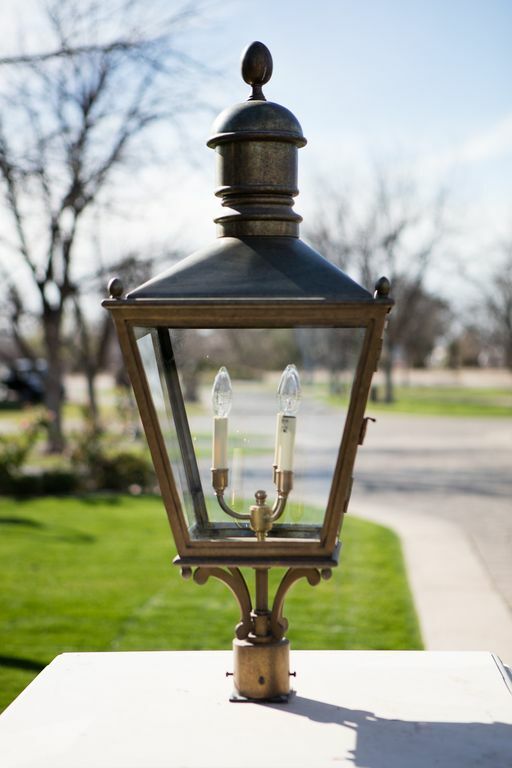 In case you love brass exterior lanterns. FIND A FEW LOVELY OPTIONS RIGHT HERE. Beautiful Modern Chic French Home in the Southwest. Source – see this home for sale. Architectural Design: Pinnacle Conecptions. Builder: E & A Custom Homes/Jason Check. Interior Design: Jaimee Rose Interiors & Elsie Rose Home. House Tour & Interior Design Inspiration. Certainly lovely indeed. 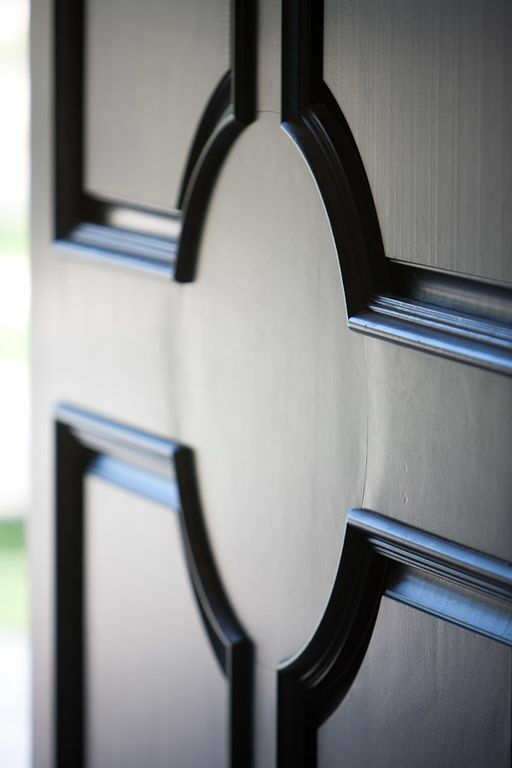 Gorgeous front door detailing. Beautiful Modern Chic French Home in the Southwest. Source – see this home for sale. Architectural Design: Pinnacle Conecptions. Builder: E & A Custom Homes/Jason Check. Interior Design: Jaimee Rose Interiors & Elsie Rose Home. House Tour & Interior Design Inspiration. 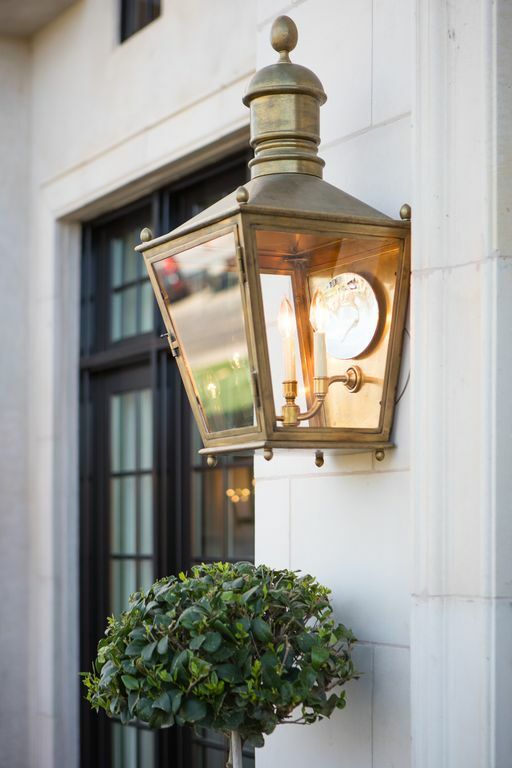 Brass exterior lighting. 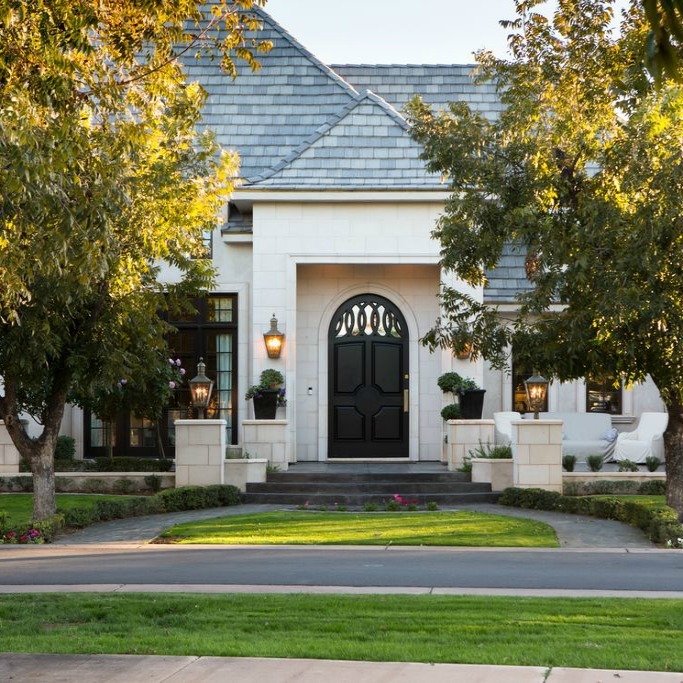 FIND A FEW LOVELY OPTIONS RIGHT HERE.Beautiful Modern Chic French Home in the Southwest. Source – see this home for sale. Architectural Design: Pinnacle Conecptions. Builder: E & A Custom Homes/Jason Check. Interior Design: Jaimee Rose Interiors & Elsie Rose Home. House Tour & Interior Design Inspiration. Gorgeous luxury kitchen…certainly lovely indeed. Beautiful Modern Chic French Home in the Southwest. Source – see this home for sale. Architectural Design: Pinnacle Conecptions. Builder: E & A Custom Homes/Jason Check. Interior Design: Jaimee Rose Interiors & Elsie Rose Home. House Tour & Interior Design Inspiration. 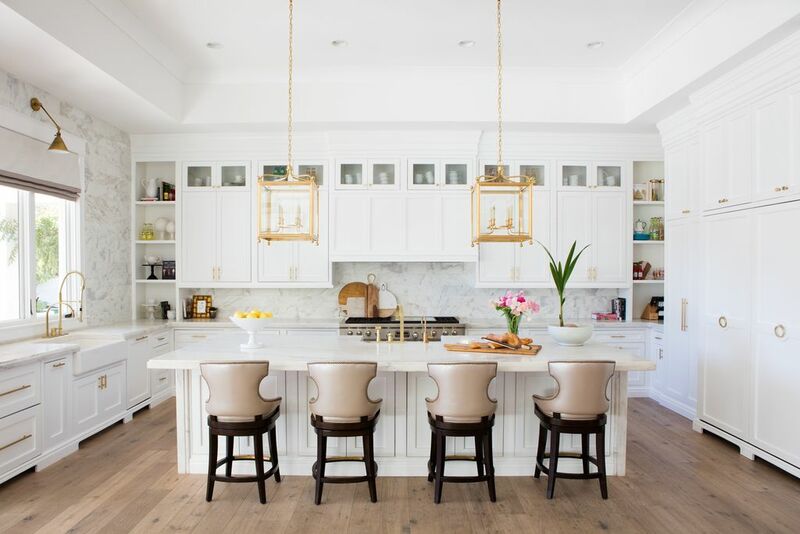 Find some beautiful options for brass pendant lights RIGHT HERE. In case you are daring enough for bold pink in the breakfast area…certainly lovely indeed. Beautiful Modern Chic French Home in the Southwest. Source – see this home for sale. Architectural Design: Pinnacle Conecptions. Builder: E & A Custom Homes/Jason Check. Interior Design: Jaimee Rose Interiors & Elsie Rose Home. House Tour & Interior Design Inspiration. 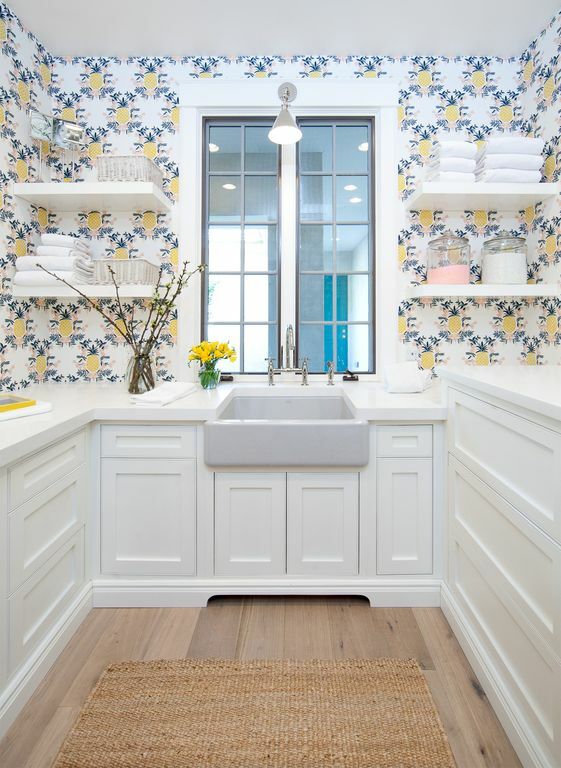 What a gorgeous laundry room…certainly lovely indeed! Beautiful Modern Chic French Home in the Southwest. Source – see this home for sale. Architectural Design: Pinnacle Conecptions. Builder: E & A Custom Homes/Jason Check. Interior Design: Jaimee Rose Interiors & Elsie Rose Home. House Tour & Interior Design Inspiration. In the market for a fireclay farm sink? Lovely options HERE. Retro charm and modern touches…certainly lovely indeed! Beautiful Modern Chic French Home in the Southwest. Source – see this home for sale. Architectural Design: Pinnacle Conecptions. Builder: E & A Custom Homes/Jason Check. Interior Design: Jaimee Rose Interiors & Elsie Rose Home. Industrial farmhouse stools with a similar look…SEE THESE. Beautiful Modern Chic French Home in the Southwest. Source – see this home for sale. Architectural Design: Pinnacle Conecptions. Builder: E & A Custom Homes/Jason Check. Interior Design: Jaimee Rose Interiors & Elsie Rose Home. Isn’t the mirror stunning? Find lovely options RIGHT HERE. Ready to go inside this wonderfully constructed home on the market? E & A Custom Homes from Tiffany Check on Vimeo. Elegant living room. Beautiful Modern Chic French Home in the Southwest. Source – see this home for sale. Architectural Design: Pinnacle Conecptions. Builder: E & A Custom Homes/Jason Check. Interior Design: Jaimee Rose Interiors & Elsie Rose Home. In case you love built-ins in a dining room with modern chandeliers. Beautiful Modern Chic French Home in the Southwest. Source – see this home for sale. Architectural Design: Pinnacle Conecptions. Builder: E & A Custom Homes/Jason Check. Interior Design: Jaimee Rose Interiors & Elsie Rose Home. Certaily lovely indeed! In case you love an inspiring upholstered dining chair. Geometric rug in chic dining room…certainly lovely indeed. Beautiful Modern Chic French Home in the Southwest. Source – see this home for sale. Architectural Design: Pinnacle Conecptions. Builder: E & A Custom Homes/Jason Check. Interior Design: Jaimee Rose Interiors & Elsie Rose Home. 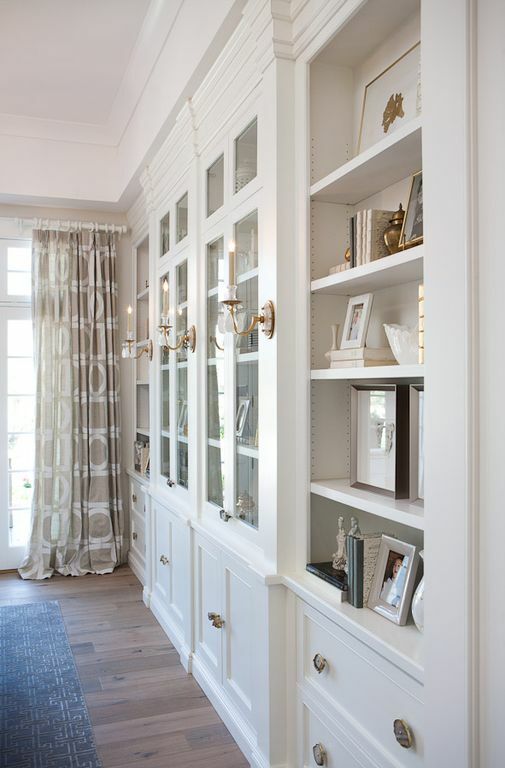 White built-ins in a chic dining room…certainly lovely indeed. Beautiful Modern Chic French Home in the Southwest. Source – see this home for sale. Architectural Design: Pinnacle Conecptions. Builder: E & A Custom Homes/Jason Check. Interior Design: Jaimee Rose Interiors & Elsie Rose Home. 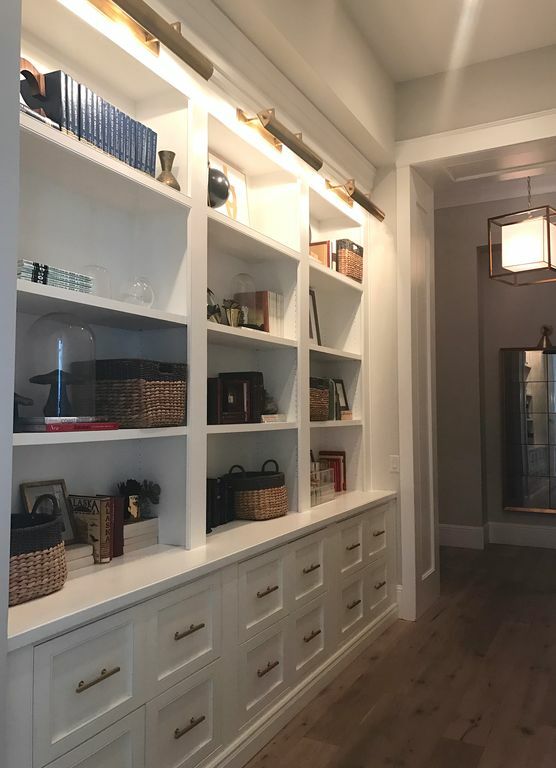 In case you love built-ins in a dining area. Beautiful Modern Chic French Home in the Southwest. Source – see this home for sale. Architectural Design: Pinnacle Conecptions. Builder: E & A Custom Homes/Jason Check. Interior Design: Jaimee Rose Interiors & Elsie Rose Home. Certainly lovely indeed! In case you love an artful pull. 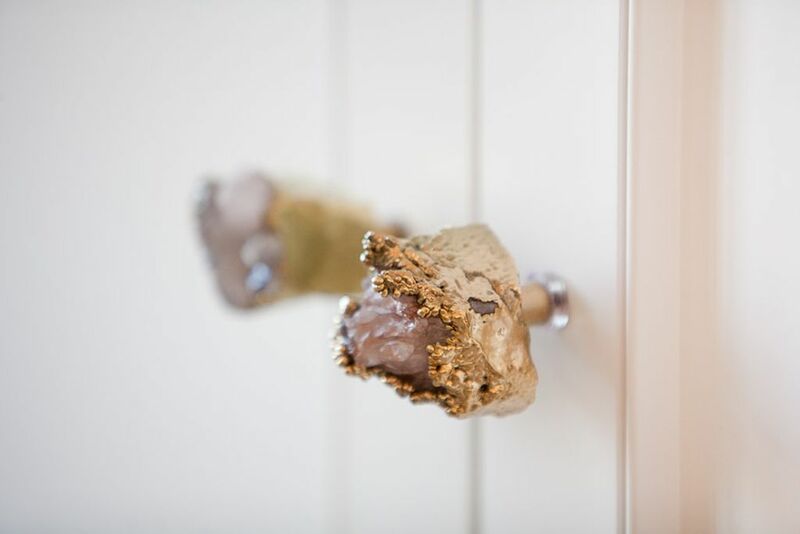 Quartz and gold cabinet pulls. Beautiful Modern Chic French Home in the Southwest. Source – see this home for sale. Architectural Design: Pinnacle Conecptions. Builder: E & A Custom Homes/Jason Check. Interior Design: Jaimee Rose Interiors & Elsie Rose Home. Lovely indeed! In case a gorgeous feminine home office inspires. Certainly lovely indeed. Beautiful Modern Chic French Home in the Southwest. Source – see this home for sale. Architectural Design: Pinnacle Conecptions. Builder: E & A Custom Homes/Jason Check. Interior Design: Jaimee Rose Interiors & Elsie Rose Home. In case you dream of your own private dance studio with black walls and wood flooring. Beautiful Modern Chic French Home in the Southwest. Source – see this home for sale. Architectural Design: Pinnacle Conecptions. Builder: E & A Custom Homes/Jason Check. Interior Design: Jaimee Rose Interiors & Elsie Rose Home. Lovely indeed! In case you love herringbone marble flooring. 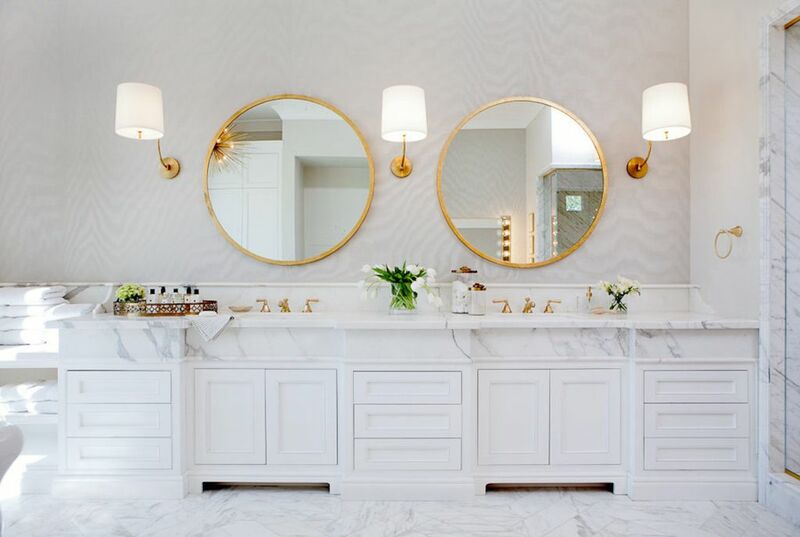 Luxurious and elegant white bathroom…certainly lovely indeed. Beautiful Modern Chic French Home in the Southwest. Source – see this home for sale. Architectural Design: Pinnacle Conecptions. Builder: E & A Custom Homes/Jason Check. Interior Design: Jaimee Rose Interiors & Elsie Rose Home. Lovely indeed! 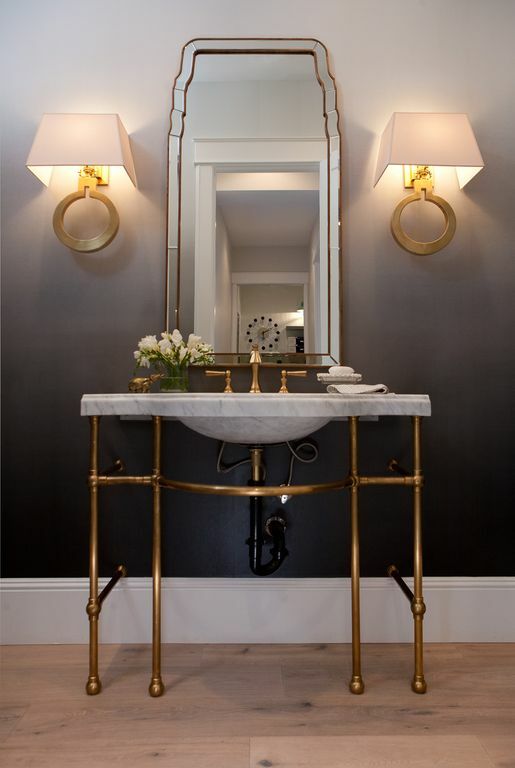 In cae you love a long double vanity with marble that stretches for days and round mirrors…certainly lovely indeed. Beautiful Modern Chic French Home in the Southwest. Source – see this home for sale. Architectural Design: Pinnacle Conecptions. Builder: E & A Custom Homes/Jason Check. Interior Design: Jaimee Rose Interiors & Elsie Rose Home. Lovely indeed! In case you love a pop of Midcentury Modern. Sputnik chandelier and freestanding tub in luxurious bathroom with herringbone pattern marble floor. Beautiful Modern Chic French Home in the Southwest. Source – see this home for sale. Architectural Design: Pinnacle Conecptions. Builder: E & A Custom Homes/Jason Check. Interior Design: Jaimee Rose Interiors & Elsie Rose Home. Lovely indeed. 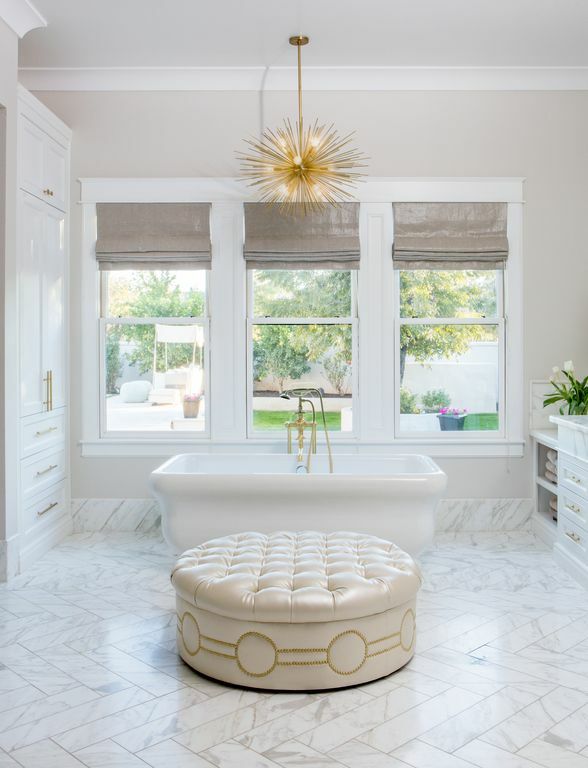 Don’t you love a large tufted ottoman in a bathroom? FIND LOVELY OPTIONS HERE. In case you love a luxurious bath. 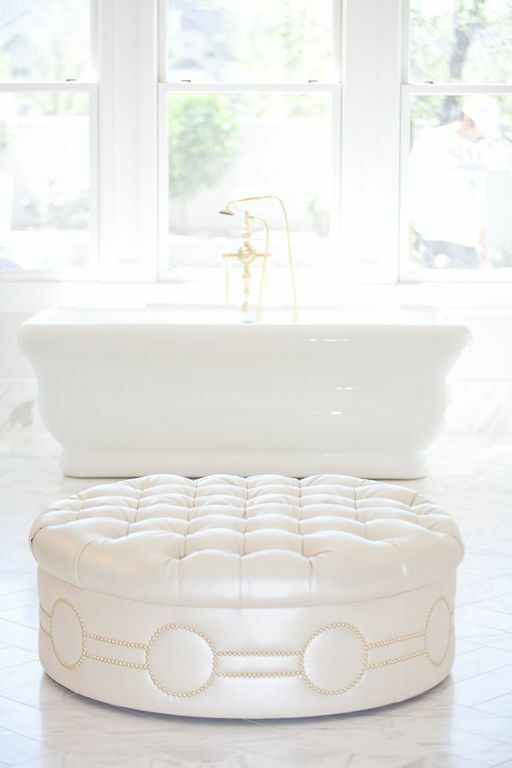 Tufted round ottoman in luxe bathroom. Beautiful Modern Chic French Home in the Southwest. Source – see this home for sale. Architectural Design: Pinnacle Conecptions. Builder: E & A Custom Homes/Jason Check. Interior Design: Jaimee Rose Interiors & Elsie Rose Home. Lovely indeed! In case you love French modern. Light grey walls and white trim in a gorgeous chic living area with fireplace. Beautiful Modern Chic French Home in the Southwest. Source – see this home for sale. Architectural Design: Pinnacle Conecptions. Builder: E & A Custom Homes/Jason Check. Interior Design: Jaimee Rose Interiors & Elsie Rose Home. Lovely indeed! In case you love French modern. 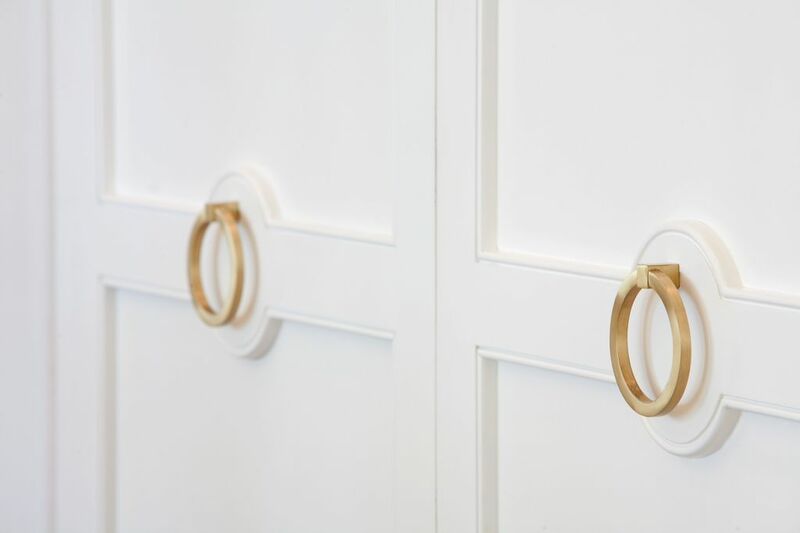 Detail of ring door hardware. Beautiful Modern Chic French Home in the Southwest. Source – see this home for sale. Architectural Design: Pinnacle Conecptions. Builder: E & A Custom Homes/Jason Check. Interior Design: Jaimee Rose Interiors & Elsie Rose Home. Lovely indeed! In case you love French modern. Hot pink wing chairs and marble surround fireplace. Beautiful Modern Chic French Home in the Southwest. Source – see this home for sale. Architectural Design: Pinnacle Conecptions. Builder: E & A Custom Homes/Jason Check. Interior Design: Jaimee Rose Interiors & Elsie Rose Home. Lovely indeed! In case you love French modern. Cheerful decor in a den. Beautiful Modern Chic French Home in the Southwest. Source – see this home for sale. Architectural Design: Pinnacle Conecptions. Builder: E & A Custom Homes/Jason Check. Interior Design: Jaimee Rose Interiors & Elsie Rose Home. Lovely indeed! In case you love French modern. 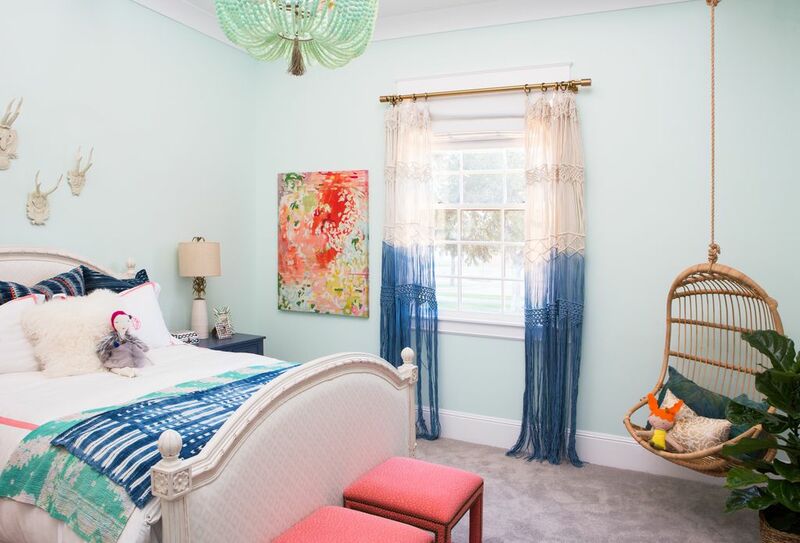 Boho chic in a girls bedroom with light green walls. Beautiful Modern Chic French Home in the Southwest. Source – see this home for sale. Architectural Design: Pinnacle Conecptions. Builder: E & A Custom Homes/Jason Check. Interior Design: Jaimee Rose Interiors & Elsie Rose Home. Lovely indeed. I am dreaming of owning one of these indoor swing chairs! In case you French modern! 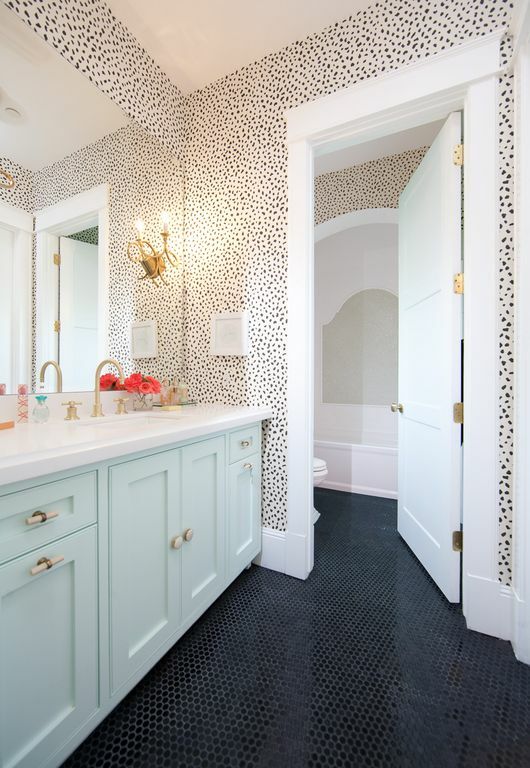 Chic bathroom with black tile flooring. Beautiful Modern Chic French Home in the Southwest. Source – see this home for sale. Architectural Design: Pinnacle Conecptions. Builder: E & A Custom Homes/Jason Check. Interior Design: Jaimee Rose Interiors & Elsie Rose Home. Lovely indeed! So many pretty black and white dot wallpapers on the market! In case you love French modern! Beautiful Modern Chic French Home in the Southwest. Source – see this home for sale. Architectural Design: Pinnacle Conecptions. Builder: E & A Custom Homes/Jason Check. Interior Design: Jaimee Rose Interiors & Elsie Rose Home. Lovely indeed! 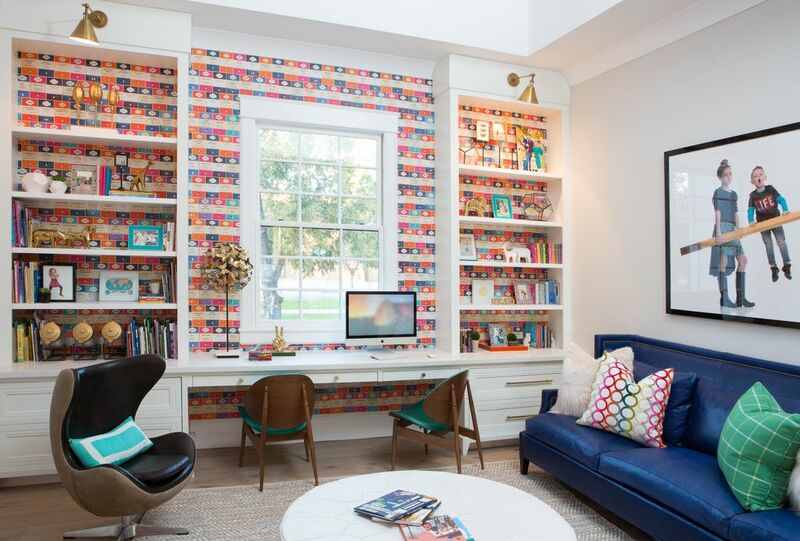 Built-ins…certainly lovely indeed. Beautiful Modern Chic French Home in the Southwest. Source – see this home for sale. Architectural Design: Pinnacle Conecptions. Builder: E & A Custom Homes/Jason Check. Interior Design: Jaimee Rose Interiors & Elsie Rose Home. Certainly lovely indeed! 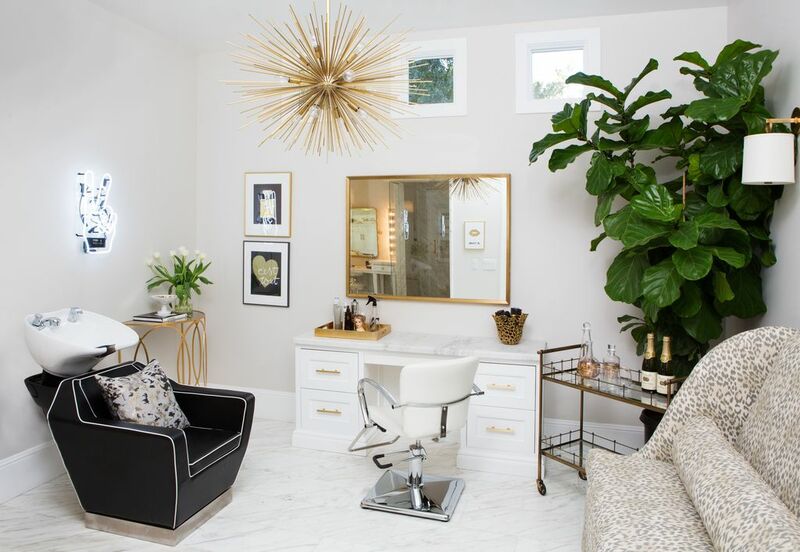 Glam station…certainly lovely indeed! Beautiful Modern Chic French Home in the Southwest. Source – see this home for sale. Architectural Design: Pinnacle Conecptions. Builder: E & A Custom Homes/Jason Check. Interior Design: Jaimee Rose Interiors & Elsie Rose Home. Certainly lovely indeed! Beautiful Modern Chic French Home in the Southwest. Source – see this home for sale. Architectural Design: Pinnacle Conecptions. Builder: E & A Custom Homes/Jason Check. Interior Design: Jaimee Rose Interiors & Elsie Rose Home. Certainly lovely indeed! Exterior. Beautiful Modern Chic French Home in the Southwest. Source – see this home for sale. Architectural Design: Pinnacle Conecptions. Builder: E & A Custom Homes/Jason Check. Interior Design: Jaimee Rose Interiors & Elsie Rose Home. Certainly lovely indeed! Hope this finds you well and relaxing, friends. I am muddling through this mysterious illness, exhausted, and coping as best I can. Shop Houzz for an incredible sale! Hi Michele!! Don’t get around much to bogland but like to check in every now and then, gorgeous post and wow so many good ideas…a home beauty salon? Sign me up:) Friends of ours who used to spend a few months a year in their home in Scottsdale just moved there full time and they are loving it. Hope you are having a wonderful holiday weekend. OK so we are Chicago born and bred who moved to No. CA and in real estate in Carmel…..so many clients making the move to AZ from here! Lower taxes (for sure, MUCH lower) and less expensive homes are the reasons along with weather, of course. Keep in mind that with global warming (if you believe in it which we do) AZ is due to get…..hotter and drier. Long term the warming trend may be something to really think about. And hoping you are up to par and feeling better soon, Michelle. Will say a prayer for your health tonight. Thank you, friend. I feel so blessed to have friends looking out for my best interests. I’ll definitely research it thoroughly. I appreciate the prayer – I sure do need it after today. Peace to you. Hi Michelle, what a house. My husband and I also live in the Bay Area and purchased our retirement home in AZ. We called it our 10 year project. The house is brick and I want to paint it white, (a soft white for that sunny weather) any idea what is the brand and color on this house?